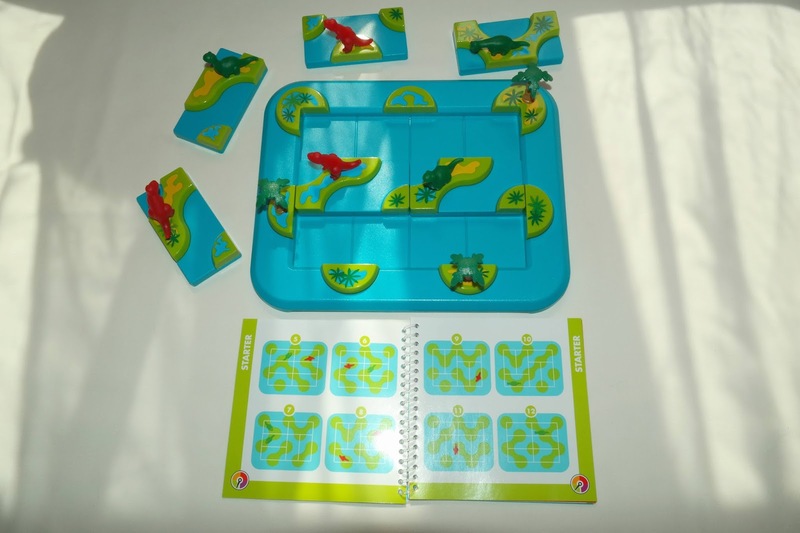 Just when you thought Dinosaurs were extinct, Raf Peeters manages to go back in time and capture a few of them to be featured in one of SmartGames' latest puzzle games. 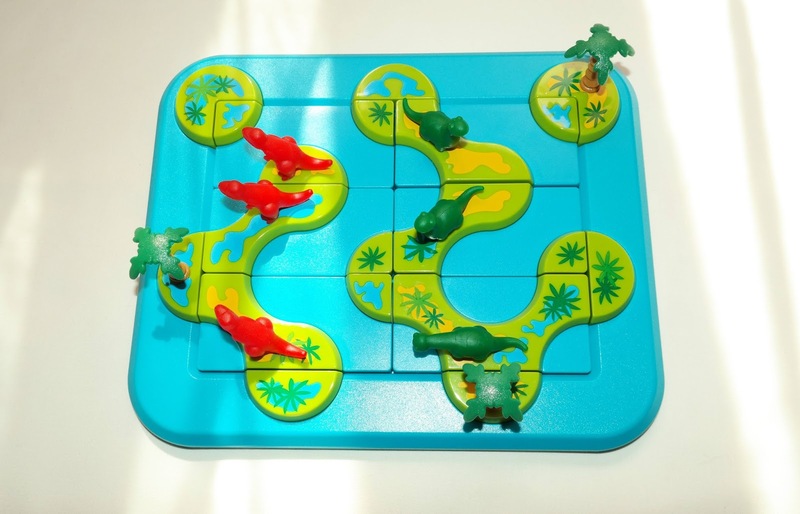 Can you save the green dinosaurs from the bad red carnivores? The fate of ancient Earth is in your hands. Dinosaurs - Mystic Islands is a rather interesting take on the traditional packing puzzle with some edge-matching elements. 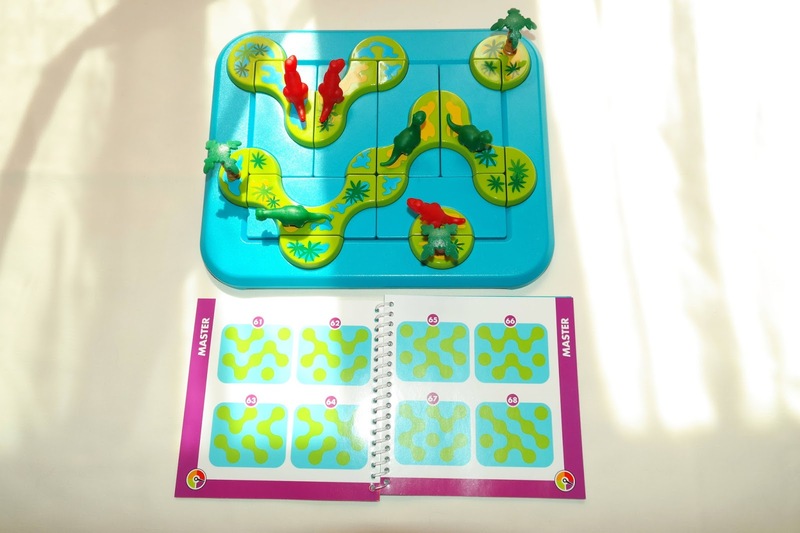 The game is beautifully presented in the new SmartGames' packaging, much more practical to use and to take with you on your travels. Six identically-sized pieces fill up the entirety of the game board, which is also nicely decorated with tiny islands and palm trees. As you can see, the game is very simple to understand, leaving you with more time to actually enjoy it. The challenges have only one solution each, so you'll know when you finally solve it. I found this game to be mostly easy except for a few of the later challenges, where the difficulty really spikes a bit and you have to really apply your problem solving skills. Two pairs of pieces are identical, but they're not ambiguous, since they're represented by a different colored dinosaur. 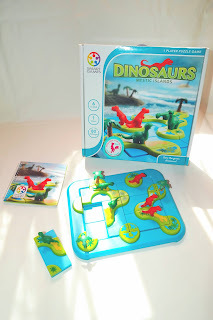 Dinosaurs - Mystic Islands was a joy to play from start to finish. The concept seems clever and fresh, as if this wasn't something we already expected from SmartGames. Overall, a really nice puzzle game, with just the right amount of challenge. But, we all like a good challenge, am I right? Availability: You can find the Dinosaurs - Mystic Islands on Amazon or any other major puzzle store. Check out other cool puzzles by SmartGames.